Bridget Edwards, author of Decorating Cookies and blogger at Bake at 350 answered some questions about her interest in ... (oh, yum!) COOKIES! When did you get interested in baking and decorating cookies? In 2000, I left my job managing a retail store for the artist Mary Engelbreit to be a stay-at-home mom. The company always gave us these beautiful cookies-on-a-stick at our company meetings...and I was going to MISS those cookies. I set out to learn to make them. What's your favorite cookie to make? I love making any type of rolled, cut-out cookie....sugar cookies, gingerbread, you name it. Something about the rolling and cutting is relaxing to me. I feel the same way about kneading bread. What's your favorite cookie to eat? Oh, a warm chocolate chip cookie...hands down. 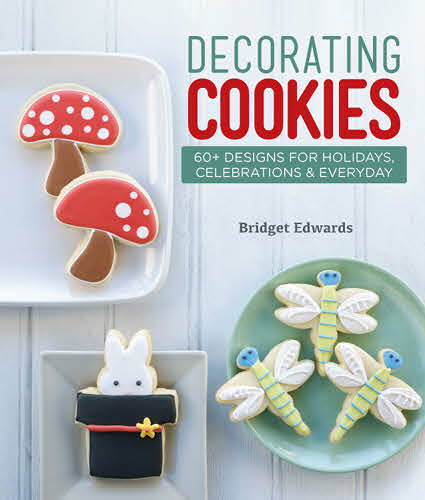 When did you realize that cookie decorating would be a good subject for a book? When I started my blog (Bake at 350) in 2007, I wanted to teach people how to create decorated cookies; it's easier than you might think. I knew if I could learn to do it, anyone could...it just needed to be presented in an easy-to-follow fashion. 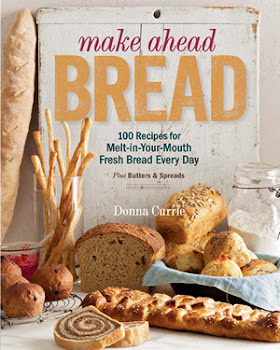 A book was always in the back of my mind, and luckily a wonderful publisher (Lark Crafts) with the same vision contacted me. Were there any funny stories that related to writing/publishing/promoting the book? Well, I think back to the six days that the photographer was in my kitchen, taking the step-by-step pictures. He really got to know cookie decorating well. On the plus side, he was able to eat them as we went along. What's your favorite cookie in the book? Why? That's tough...they're all my favorite for different reasons. As we're heading into Valentine's Day, my favorite is the Heart Robot. As a mom of a boy, I always feel like they get the short end of the stick on Valentine's Day...everything is so pink and girly. The robot is full of love, and also perfect for boys!